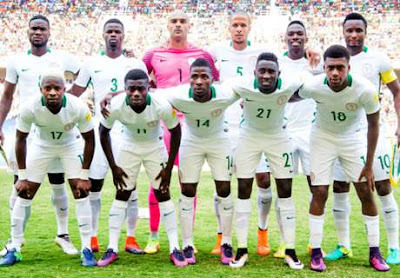 The Nigeria Football Federation has proposed to organisers of the Nigeria versus Senegal international friendly on Thursday to allow Super Eagles players wear black arm bands and observe a minute silence in honour of those that lost their lives in a suspected terror attack in Westminster, central London on Wednesday. This was announced on the Super Eagles official Twitter handle on Thursday morning. On Wednesday Four people were killed and dozens injured when a suspected terrorist drove through pedestrians on Westminster bridge, killing three members of the public before stabbing a 48-year-old man to death. Following Wednesday's sad incident, the NFF has called on the organisers to allow the players pay their respect to the victims of the attack. "We've proposed to organizers of today's friendly vs Senegal, that our players wear black bands & observe a minute silence for #Westminster," the Super Eagles handle was quoted.